Steaks and Pizza made to order! 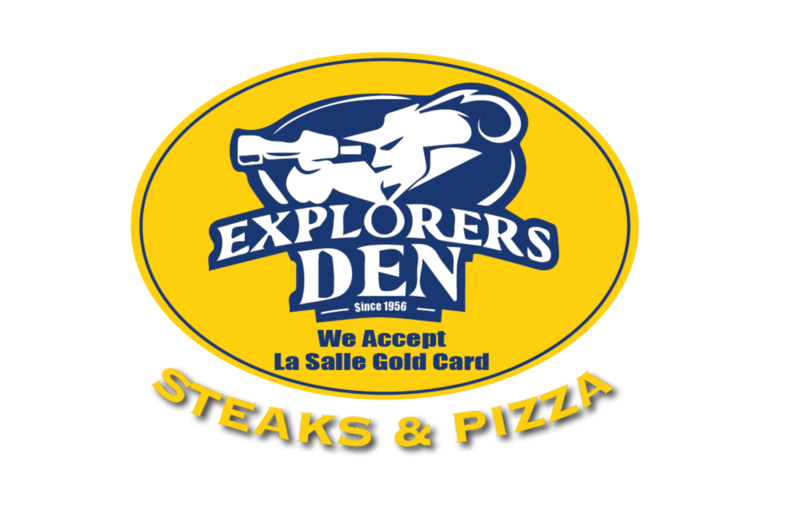 Explorer’ Den has been serving delicious steaks and pizza to the Philadelphia community for over 60 years. We are conveniently located on La Salle University’s Campus to accommodate your eat in, carry-out or delivery orders. Our delivery zone ranges up to 2 miles. We accept Visa, MasterCard, Discover and American Express. Place your order online today! If you are using the La Salle Gold Card, please call to place your order. - Please call to place your order using La Salle Gold Card.